When you are looking for a certain type of shoes sometimes just calling it a high-heel will not cut it. However there are so many different names for shoes that it can be pretty confusing. SO I did my research and here are some of those confusing terms defined! Refers to a heel that is very thin and high. Typically a high-heeled slip on shoe. Similar to a sling back except the strap must cross around the front of the foot as well as the back. Casual shoes usually made of canvas on top and typically with a sole that is flexible and looks to be made of rows of rope or think twine. Refers to the wedge of material found under the toe or heel regions. Modern shoes use platforms under the toe to make the appearance of super high heels without creating too steep of an angle for your foot. These are historically made of wood but modern clogs can be made of anything. They are similar to a mule except that back has a slight lip and is not totally backless. 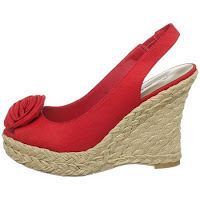 There is a high-heel version without the lip but still maintains the basic shape. 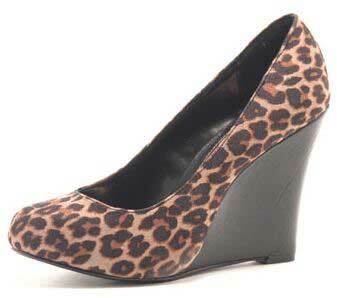 Kitten heels are shoes with very short heels, typically about 1.5 inches high. A closed toe shows that has a strap across the instep. 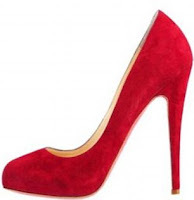 It originally had low to no heel but more modern versions can have large heels. A shoes that has a two straps across the foot in a t shape. One starting at the toe region and coming up and the other going across the foot. Whew there are lots of different types of shoes!!! I hope this can clear up some confusion!